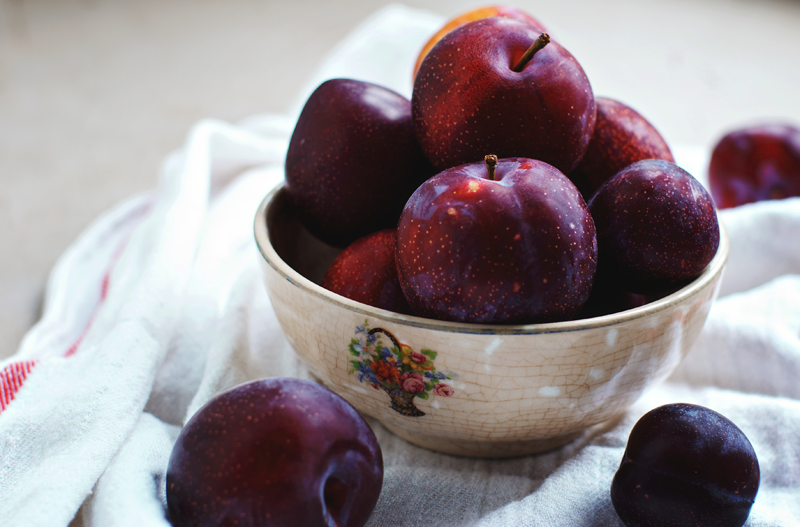 As a child I recall having plums in my home made lunch and more often than not, trading them with other kids for something less healthy. Honestly, I think it was the result of an aversion to trying different fruits and vegetables. So how did I go from being a plum "unfriendly" child to a plum adoring adult? Well, as with many things in my life, Ireland played a part. On several trips to Ireland, I was shown where the wild plum trees grow locally in Derrytresk and Derryavena...the two small town lands where I've spent much of my time. But it's not just plums that grow in the hedgerows...there are also sloes, berries from the Rowan tree, blackberries (or bramble berries as they're often called known), crab apples, and hawthorn berries. It wasn't until I picked my own plums and ate them right off the tree that I really began to enjoy this small purple gem. When Maggie Battista of Eat Boutique (a site I'd long admired) asked if I'd share photos and a recipe for her site's blog, I was more than happy to oblige. 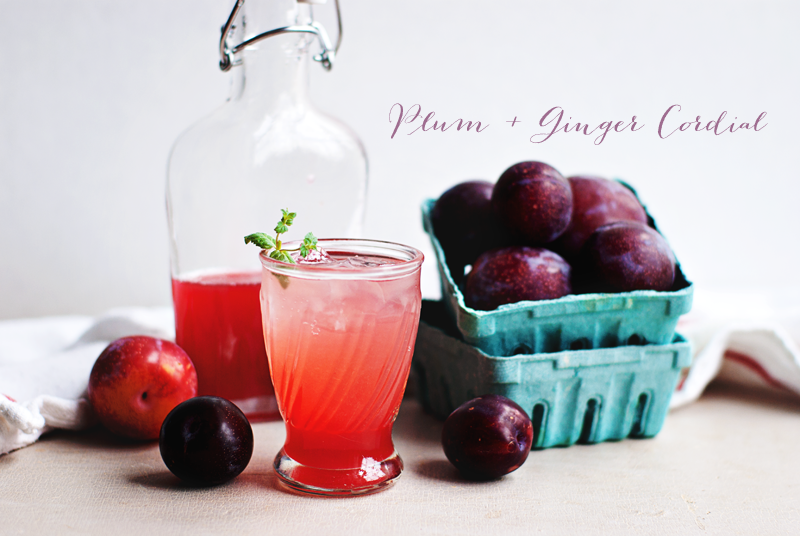 Maggie hopes to travel to Ireland one day soon but in the meantime, I shared a recipe for Plum and Ginger cordial with her as well as my experiences of the home cooking of Ireland. Take a little diversion over to Eat Boutique's blog to see. Do you have a now-favorite fruit that perhaps you didn't like as a child? What changed?